The most famous warship in the world; the greatest British Naval hero of all time and the only surviving, battle scarred sail from the Battle of Trafalgar make for a gripping story about life on board HMS Victory in Georgian times. 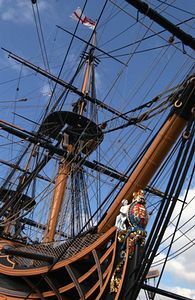 Nelson's flagship is the world's oldest commissioned warship and is still manned by Officers and Ratings of the Royal Navy. Free access to ship's companies of visiting foreign ships on presentation of Identity Cards to the ticket centre beside Victory Gate to the Naval Base. The stories of those who have served in the Royal Navy are told through the personal possessions and memories of the men and women who have dedicated their lives to safeguarding our Nation's freedom. 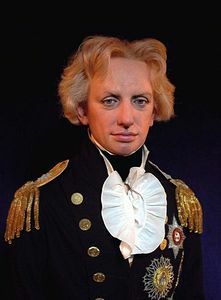 National Museum of the Royal Navy is one of the country's leading maritime museums and its collections and exhibitions celebrate Great Britons from Nelson to the lesser-known but equally dedicated ranks. Henry VIII's favourite ship sank in front of him in 1545 taking a full crew with her to a wretched death by drowning. 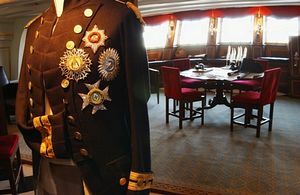 The crew is immortalized through their personal belongings and the ship's inventory. There's exciting plans for the Mary Rose too, with a new museum set to open in 2012. Please note that the hull of the Mary Rose is currently withdrawn from public view as part of a £35 million heritage project to build an internationally-renowned museum. The ship, together with a recreation of the boat's missing side, will next be open to the public in 2012, when she will be housed in a brand new boat-shaped museum. 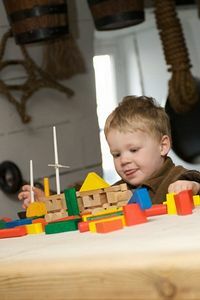 In the mean time come and visit the Mary Rose Museum where exciting interpretations of the ship can be viewed. The glory of the Victorian Age is embodied by HMS Warrior 1860. Cutting edge technology, radical design and her dominant presence meant the "Black Snake" ruled the waves at the height of the British Empire. For many she was the most significant warship ever built and yet became obsolete just a decade later. It's a high-seas adventure when the story of the Royal Navy takes a contemporary twist at Action Stations. There's a climbing tower, lots of simulators and displays and an interactive science and technology gallery. Take charge and fly a helicopter and go into battle with the Royal Marines. Get out on the water and see for yourself why Portsmouth is one of the most important harbours in the world and remains the home of the Royal Navy. Enjoy a 45 minute tour aboard one of our modern and comfortable boats. Listen to a lively commentary and have a relaxing drink or snack. Please note that Harbour Tours may not operate every day during the winter months. Entry to Portsmouth Historic Dockyard is through Victory Gate at the corner of Queen Street and The Hard. Less than 5 miles from Junction 12 of the M27. Follow the brown Historic Waterfront signs from the M27 and Historic Dockyard signs in Portsmouth. From Gosport or FastCat from the Isle of Wight: Portsmouth HarbourStation/The Hard Interchange are 200 metres from the main entrance at Victory Gate. There are 295 car parking spaces at the Historic Dockyard Car Park, which is situated approximately 400 yards from the main entrance. 17 of these are disabled parking spaces. This new under-cover car park has lavatories and a baby care suite for visitors. There is a charge for the car park. Visit www.historicdockyard.co.uk/visitors for more information.